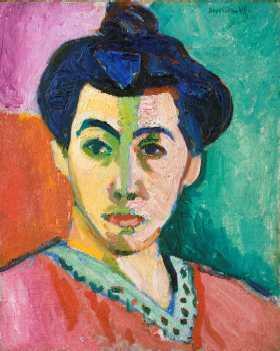 Fauvism is the style of les Fauves (French for "the wild beasts"), a loose group of early twentieth-century Modern artists whose works emphasized painterly qualities and strong color over the representational or realistic values retained by Impressionism. 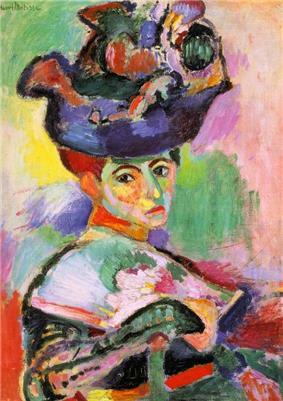 While Fauvism as a style began around 1900 and continued beyond 1910, the movement as such lasted only a few years, 1904–1908, and had three exhibitions. 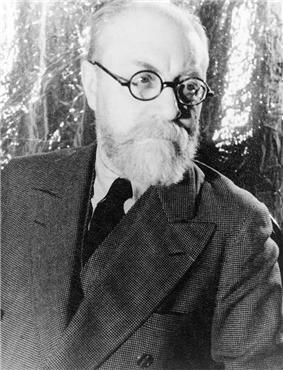 The leaders of the movement were Henri Matisse and André Derain. Besides Matisse and Derain, other artists included Cubism). Fauvism can also be seen as a mode of Expressionism. Gustave Moreau was the movement's inspirational teacher; a controversial professor at the École des Beaux-Arts in Paris and a Symbolist painter, he taught Matisse, Marquet, Manguin, Rouault and Camoin during the 1890s, and was viewed by critics as the group's philosophical leader until Matisse was recognized as such in 1904. Moreau's broad-mindedness, originality and affirmation of the expressive potency of pure color was inspirational for his students. Matisse said of him, "He did not set us on the right roads, but off the roads. He disturbed our complacency." This source of empathy was taken away with Moreau's death in 1898, but the artists discovered other catalysts for their development. In 1896, Matisse, then an unknown art student, visited the artist John Peter Russell on the island of Belle Île off Brittany. Russell was an Impressionist painter; Matisse had never previously seen an Impressionist work directly, and was so shocked at the style that he left after ten days, saying, "I couldn't stand it any more." The next year he returned as Russell's student and abandoned his earth-colored palette for bright Impressionist colors, later stating, "Russell was my teacher, and Russell explained color theory to me." Russell had been a close friend of Vincent van Gogh and gave Matisse a Van Gogh drawing. In 1901, Maurice de Vlaminck encountered the work of Van Gogh for the first time at an exhibition, declaring soon after that he loved Van Gogh more than his own father; he started to work by squeezing paint directly onto the canvas from the tube. 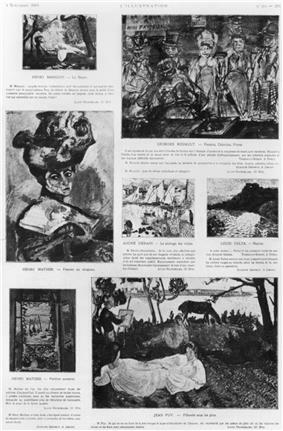 In parallel with the artists' discovery of contemporary avant-garde art came an appreciation of pre-Renaissance French art, which was shown in a 1904 exhibition, French Primitives. Another aesthetic influence was African sculpture, of which Vlaminck, Derain and Matisse were early collectors. After viewing the boldly colored canvases of Henri Matisse, André Derain, Albert Marquet, Maurice de Vlaminck, Kees van Dongen, Charles Camoin, and Jean Puy at the Salon d'Automne of 1905, the critic Louis Vauxcelles disparaged the painters as "fauves" (wild beasts), thus giving their movement the name by which it became known, Fauvism. 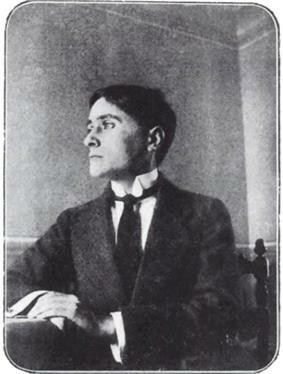 The artists shared their first exhibition at the 1905 Salon d'Automne. The group gained their name after Vauxcelles described their show of work with the phrase "Donatello au milieu des fauves!" ("Donatello among the wild beasts"), contrasting the paintings with a Renaissance-type sculpture that shared the room with them. 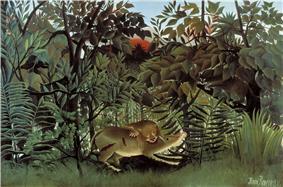 Henri Rousseau was not a Fauve, but his large jungle scene The Hungry Lion Throws Itself on the Antelope was exhibited near Matisse's work and may have had an influence on the pejorative used. Vauxcelles' comment was printed on 17 October 1905 in Gil Blas, a daily newspaper, and passed into popular usage. The pictures gained considerable condemnation—"A pot of paint has been flung in the face of the public", wrote the critic Camille Mauclair (1872–1945)—but also some favorable attention. The painting that was singled out for attacks was Matisse's Woman with a Hat; this work's purchase by Gertrude and Leo Stein had a very positive effect on Matisse, who was suffering demoralization from the bad reception of his work. 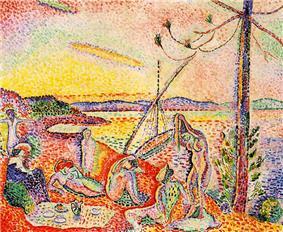 Matisse's Neo-Impressionist landscape, Luxe, Calme et Volupté, had already been exhibited at the Salon des Indépendants in the spring of 1905. ^ a b c d "Book talk: The Unknown Matisse...", ABC Radio National, interview with Hilary Spurling, 8 June 2005. Retrieved 1 January 2008. Gerdts, William H. (1997). The Color of Modernism: The American Fauves. New York: Hollis Taggart Galleries. pp. 160 p.
. In Timeline of Art History. New York: The Metropolitan Museum of Art (2004)FauvismRewald, Sabine.